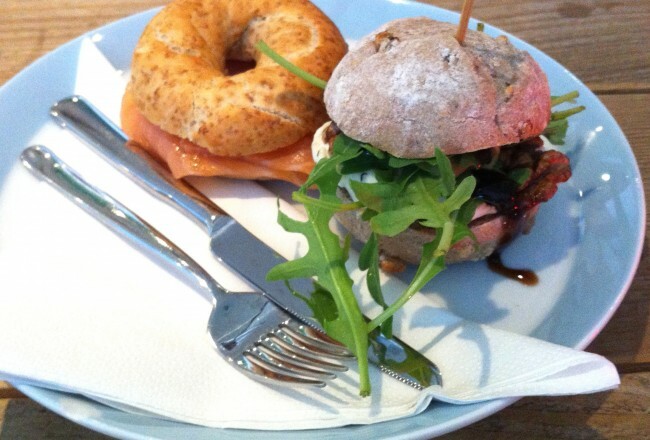 Cozy and cute, Vinnies Deli is an awesome cafe that serves healthy and delicious breakfast and lunch. Or just pop in for coffee. Now in 3 locations! Are you in the mood for a hearty but healthy salad? Coffee and granola? Or maybe a nice sandwich on homemade bread piled high with goodies? 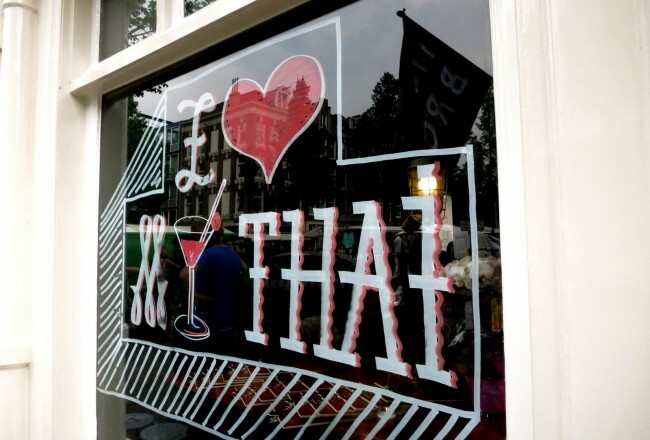 Then head to Vinnie’s Deli on Haarlemmerstraat, Nieuwezijds Kolk or Scheldestraat for a meal that won’t disappoint! 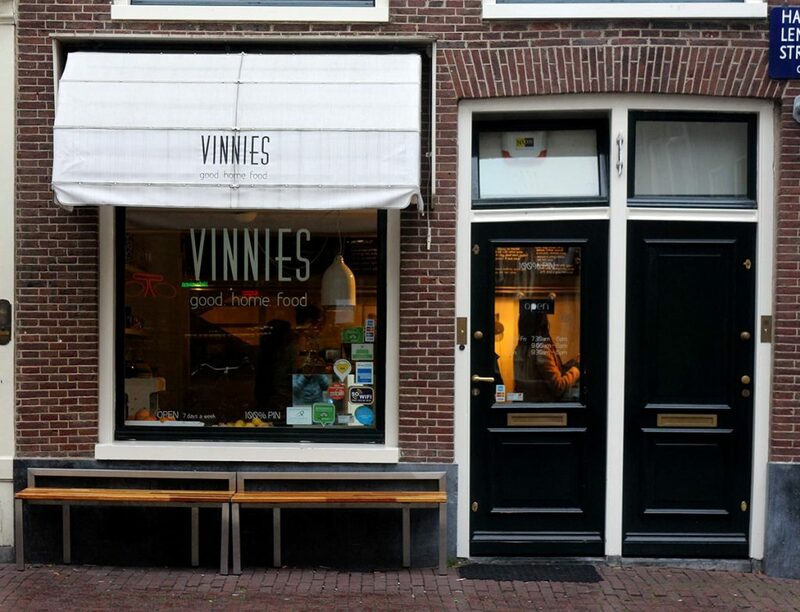 Vinnies is a cafe, shop and deli – meaning that basically everything is for sale. 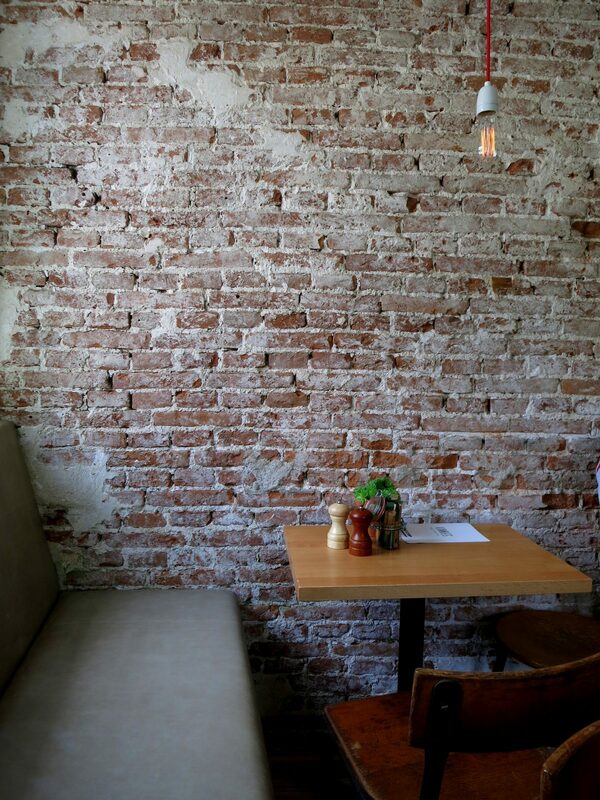 The prepared foods, the furnishings and even the raw ingredients like olive oil. 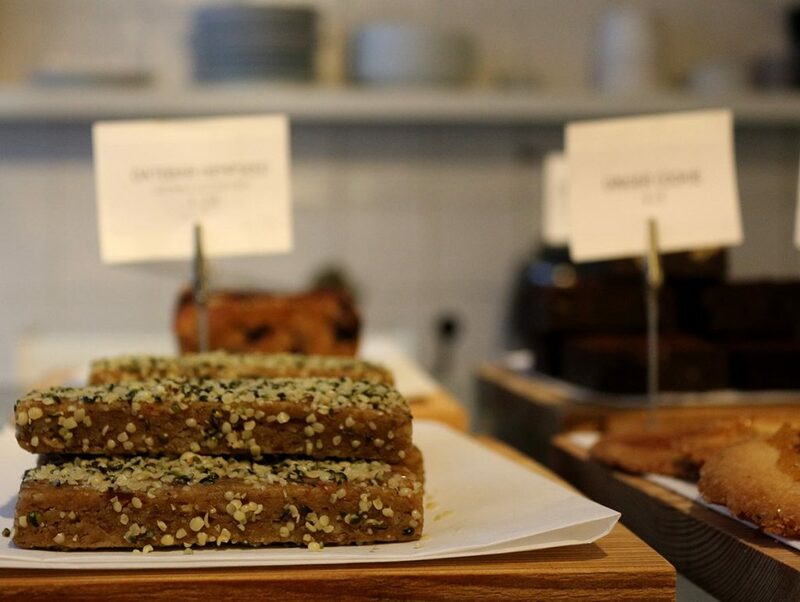 We are big fans of their sourdough spelt bread with flaxseeds. Hearty and yummy, it is the bread we try to bake at home but just can’t get it quite right. Why bother when you can just pick up a loaf at Vinnies? The freshly made salads change regularly and are often vegetarian or vegan. 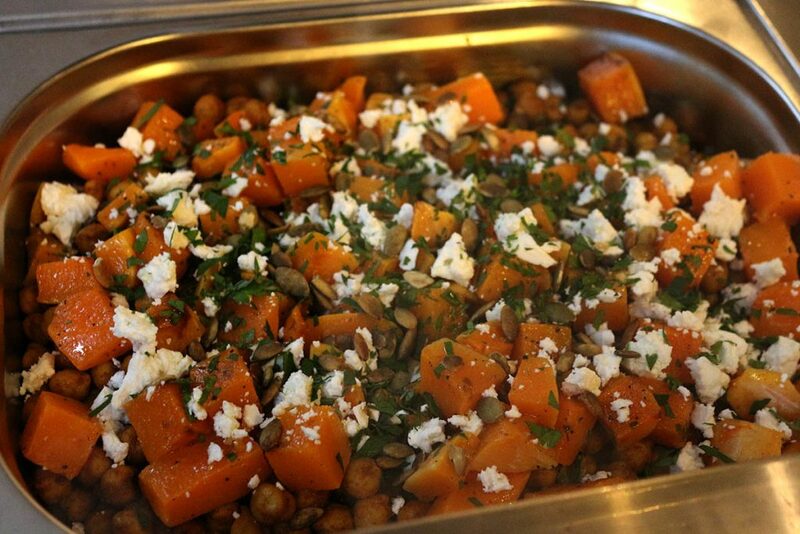 We liked the pumpkin, chickpea and feta salad – filling, healthy and tasty! The “eggplant caviar” sandwich is super popular, as well as the goat cheese, fig and hazelnut, and we enjoyed the pastrami melt. 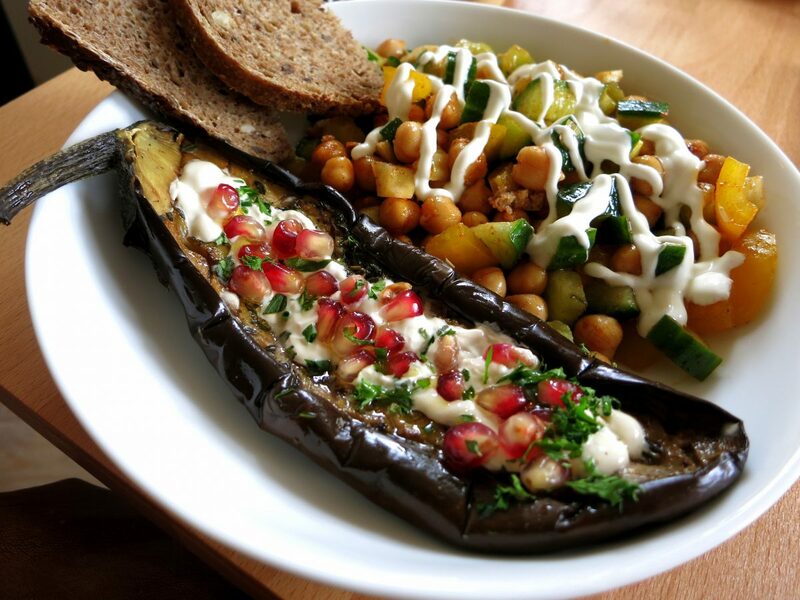 The eggplant with saffron yogurt and pomegranate looks as amazing as it tastes. Everything here is fresh and yummy! Another awesome thing about Vinnies is that it opens at 7:30 AM on weekdays! 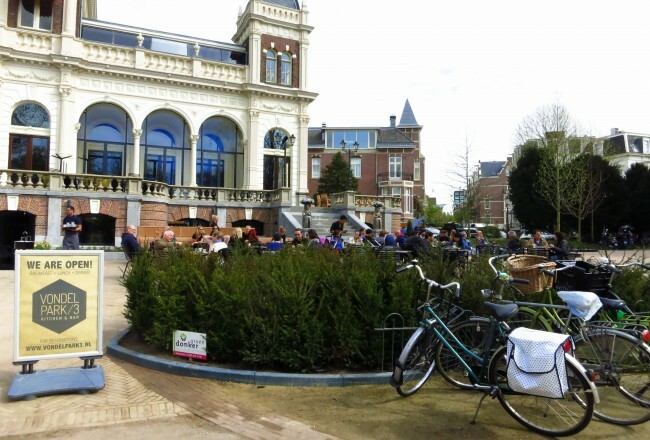 This is very unusual in sleepy Amsterdam, making it the perfect place for a pre-office coffee meeting or a quick breakfast before heading to Centraal Station to start a voyage to faraway lands.